Spring hopeful time to stroll the streets of New Haven’s Little Italy. Buzzing with pedestrians, pups, and cherry blossom blooms, the first outdoor farmers’ market of the season graced Wooster Square. Even in these chilly, brisk weeks of spring, I’m always awestruck by the amount of earth picked goodies you’ll find among vendors’ stands. Leeks, turnips, beets, oh my!! Celeriac and carrots quickly caught my eye at Riverbank Farm’s stand; as did sweet, yellow onions from Hall’s Farm; and lastly, the brightly colored radish microgreens from Two Guys from Woodbridge were the perfect finish. My list was gave me a poultry vibe, so I purchased a free range Cornish hen from an all-time favorite, Sankow Beaver Brook Farm. They’re also purveyors of raw milk, which I highly recommend. But I digress. One thing I’ve learned when it comes to chicken is you gotta work it. This dish starts off marinating in a deee-licious garlic and lemon concoction. 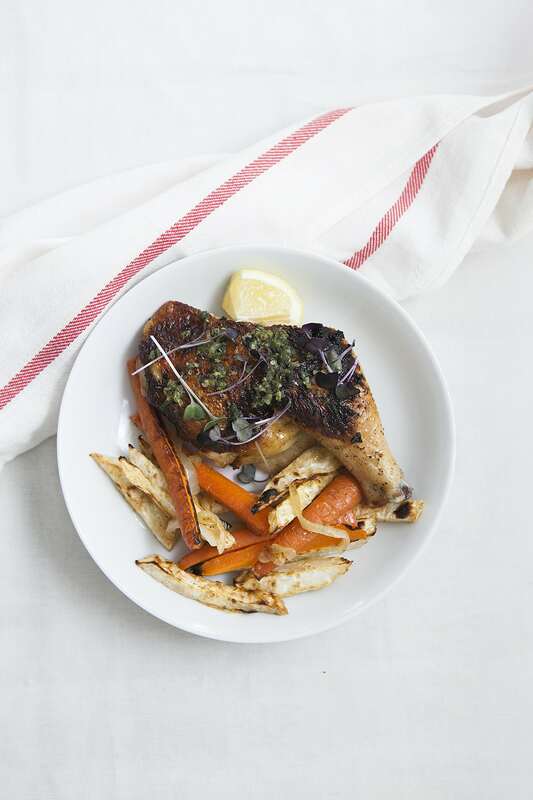 A touch of high-heat, and a lotta pan-seared char, is what seals the deal on this butterflied Cornish hen. Add that to the natural sweetness of carrot and celeriac fries, finished with a sage gremolata made with winter sage (from our home garden and possibly the most fragrant!! ), you’ve got yourself a home run, my friends. Preheat oven to 425 degrees. 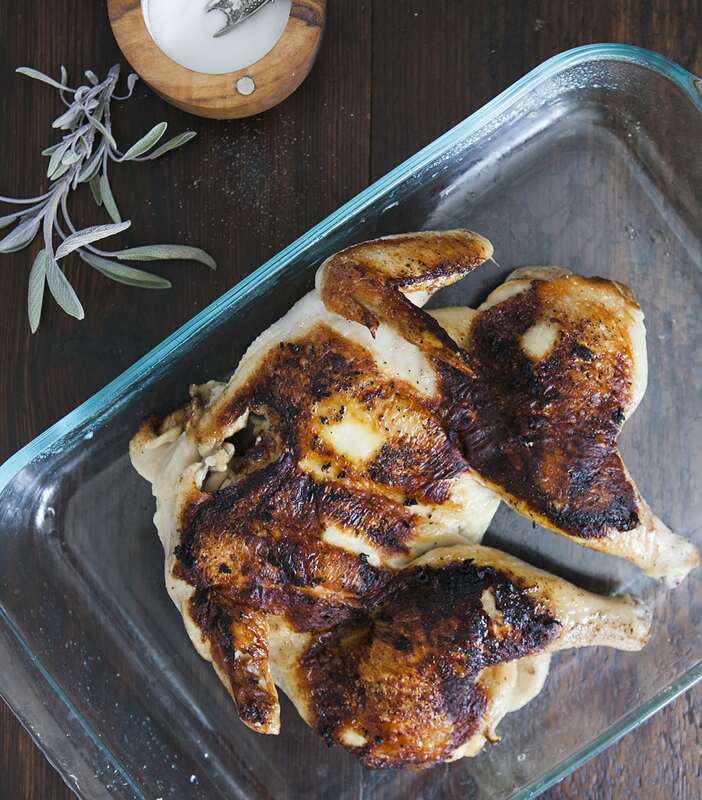 In a baking dish, marinate Cornish chicken in lemon juice, garlic, salt and pepper. Marinate for 15-20 minutes. 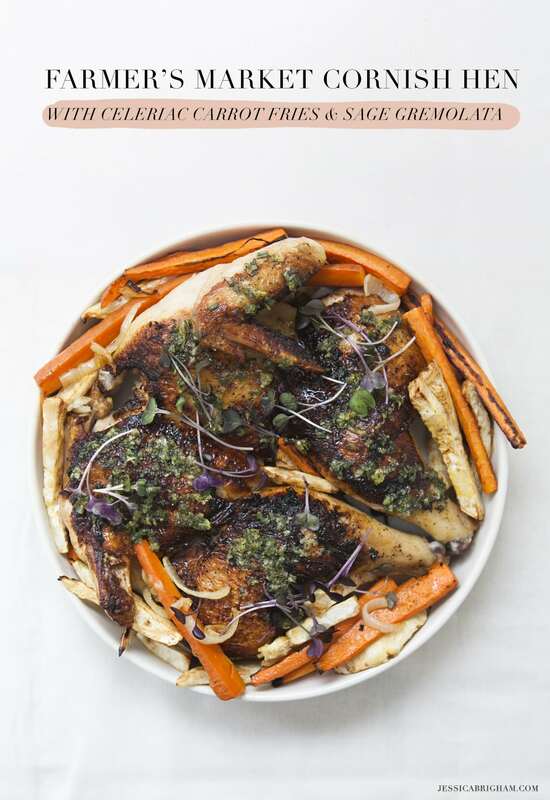 While chicken is marinating, thoroughly peel celeriac root and cut into ½ inch wide slices. Peel and cut carrots similarly. Peel and half onion, cut into half circle slices. 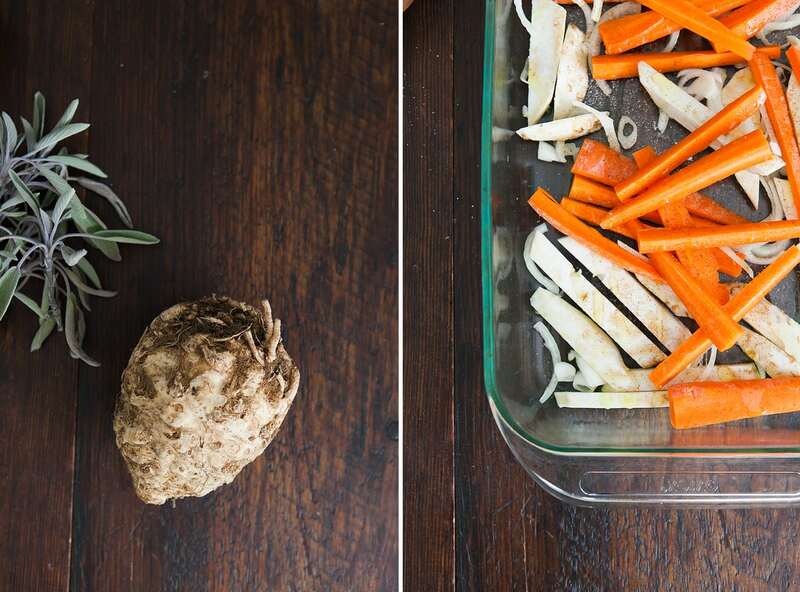 In a new baking dish, combine celeriac, carrots, and onion. Season with cayenne, salt and pepper to taste. Oven cook for 20-30 minutes. Heat a large saucepan to high-heat. Place marinated Cornish chicken skin-side down. Sear for eight minutes, or until pleasantly (and deeply) charred. Finish cooking in oven for 20 to 30 minutes, or until cooked through. 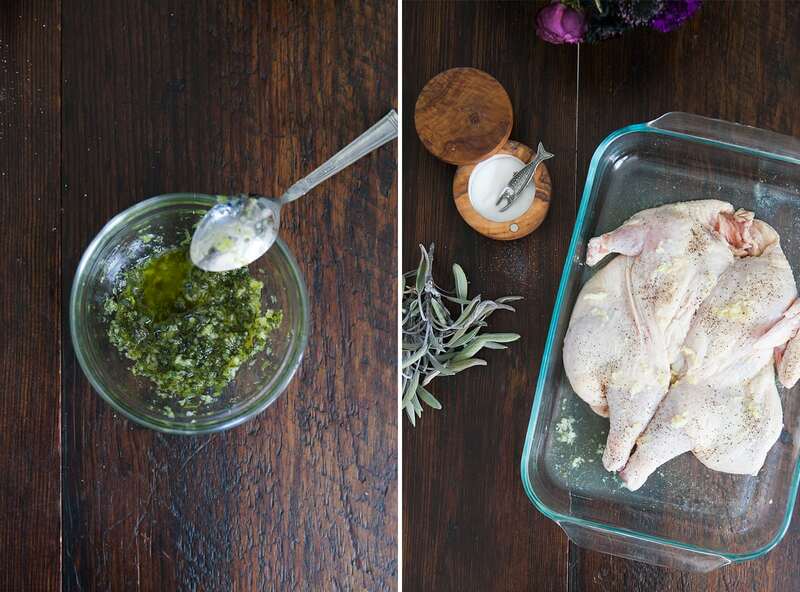 While chicken is cooking, combine sage, lemon zest, garlic, EVOO, salt and pepper in a small mixing bowl.